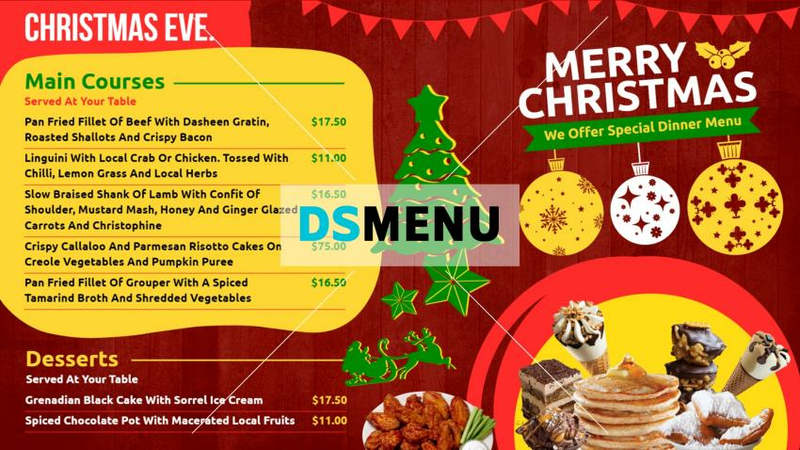 Clearly, a festive menu board with a unique design. The maroon color with topical uses of yellow and green present a flamboyant and vibrant setting. The menu is rightly lean and exclusive. On a digital signage menu board this template is will certainly bring in many customers. The restaurant should go in for branding too, in order to boost sales.